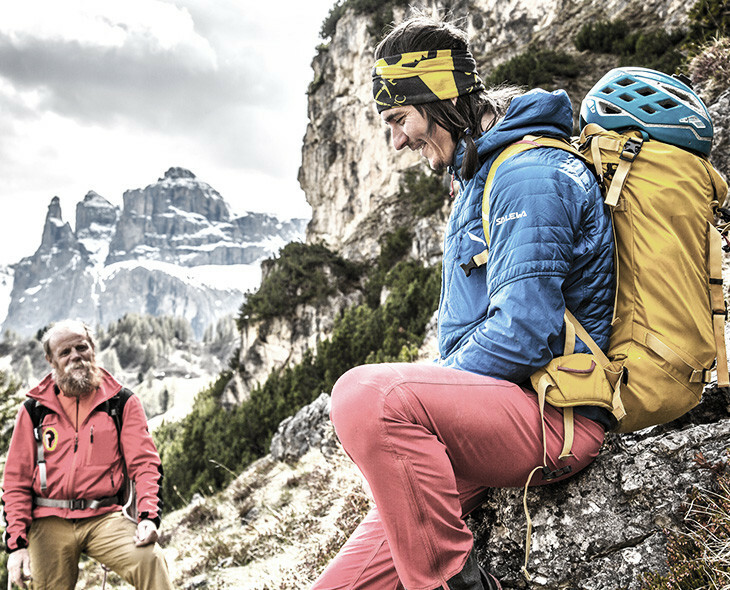 Is it possible to become a great alpinist by chance, or can a story change someone’s life? Simon Gietl's upbringing gives us the impression that the answer to those questions are, "yes." Born and raised in Luttach, in Ahrntal, Simon grew up working as a farmer at his family’s “bauern hof”/farmhouse, then became a carpenter. 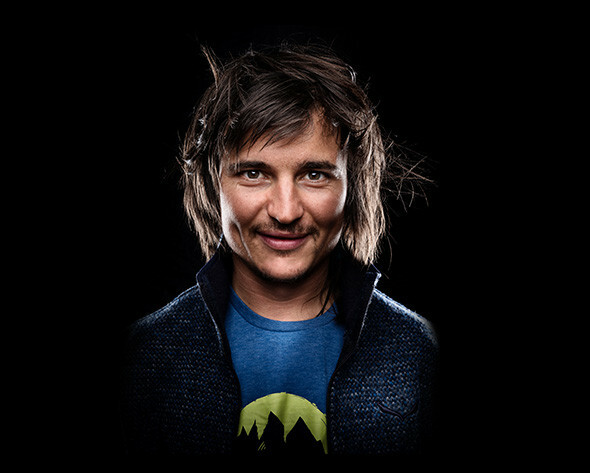 His first time climbing was absolutely by chance; more or less fifteen years ago he was hitchhiking between Toblach and Bruneck and an alpinist gave him a ride. It was shortly after hearing the tales and stories of mountains and rocks from this alpinist that gave Simon a reason to go to the mountains, and reimagine alpine climbing and mountaineering. Simon’s life revolves around discovering, defining, and climbing new routes; both modern and difficult with traditional protection. He likes to travel and to explore new and unexpected places, but the Dolomites are still his inspiration and favorite playground. He is an alpinist, but he also goes running, biking and ski touring as a means of training, but also as a way to reach the mountains. Simon really likes to go for walks with his wife and children. His family is a priority for him, so he tries to spend as much time with them as possible. Whether it is cooking together or playing in the backyard, every moment shared is an important one. For Simon it is fascinating to see how fast the children grow up. Yesterday they could not walk, but today they're able to run into the local bouldering hall. “Die großen Wände” by Reinhold Messner. Simon found this book at his parents’ place years ago and keeps reading it every now and then. Simon says that it’s the fear of his own courage, the fear of not being able to recognize what are the limits you shouldn’t try to overcome. Opened new route Shivas Ice, Mount Shivling (6543m), India. 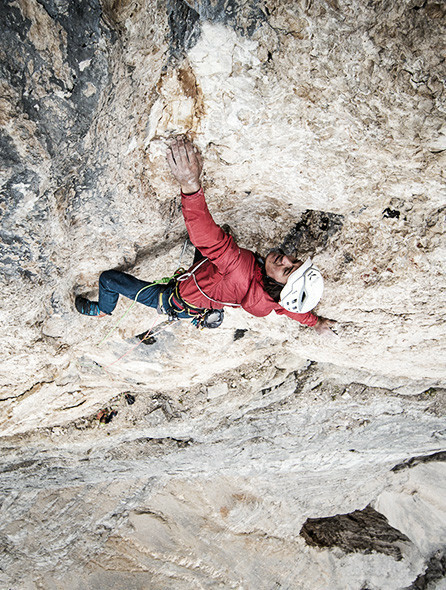 A new mixed route up the Northeast face of Mount Shivling with Vittorio Messini. 1st ascent of Stigmata, Heiligkreuzkofe (2907m), Italy with Andrea Oberbacher. A steep unclimbed face in the Dolomites. 1st Winter traverse of Tre Cime with Michi Wohleben. A traverse including the three main summits of Tre Cime di Lavaredo. Awarded Mountaineer of the year in Italy. 1st ascent of Oblivion Endstand; Piz d’Ander (3204m), Italy. 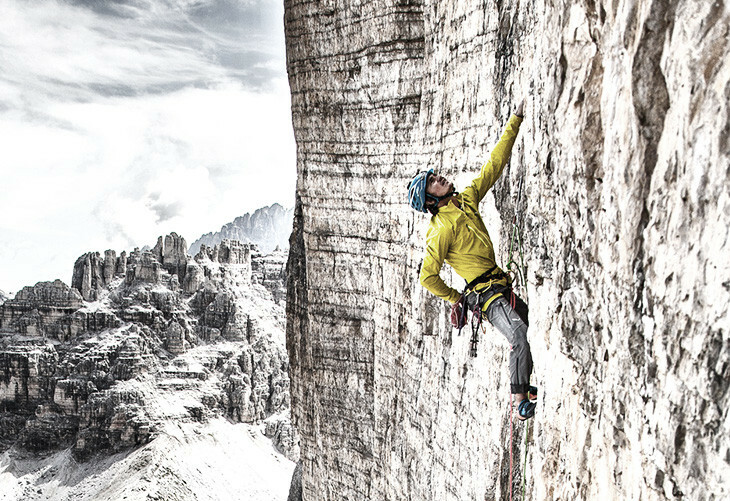 A steep unclimbed face in the Dolomites. 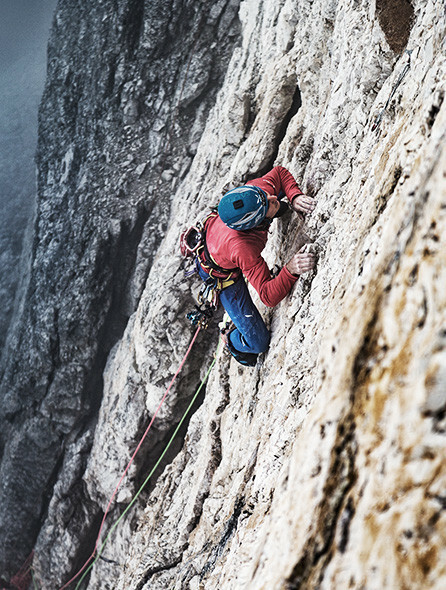 1st ascent of Erbe der Väte; Cima Gande (2999m), Italy – New route at Cima Grande with Andrea Oberbacher. 1st ascent of Odysee at the Eiger; Eiger (3967m), Switzerland - The most difficult Big Wall route on the Eiger Northface with Robert Jasper, Roger Schäli. 2nd ascent of Cruz Del Sur; La esfinge (5325m), Peru. 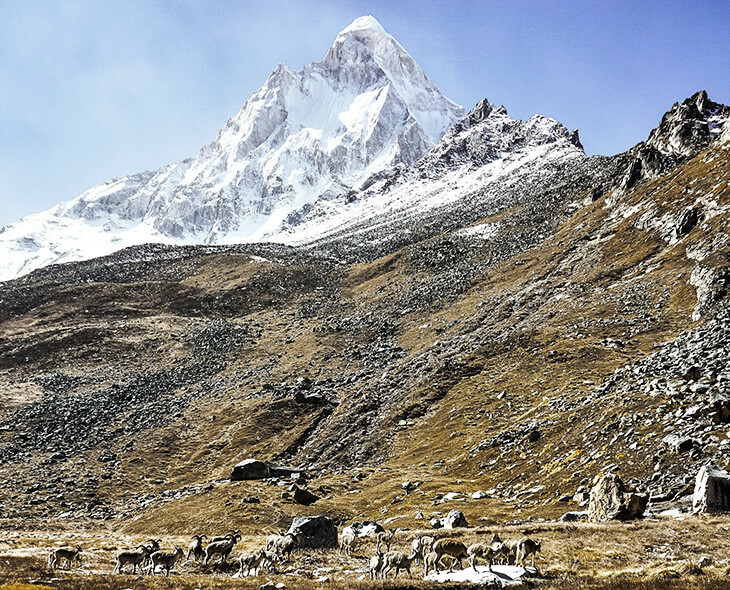 A remote peak in Andes Mountains.